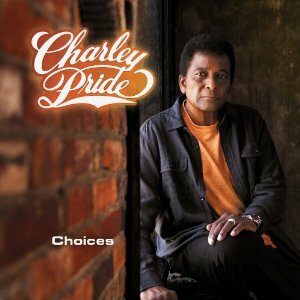 Charley Pride possesses one of the quintessential Country Music voices and remains loved and respected around the world as country music's first African-American superstar. Choices- to be released on March 18, 2011- is his first studio album since 2006's Pride & Joy: A Gospel Music Collection. It features 13 new recordings written by songwriters that will be quite familiar to Pride's fanbase as well as tracks penned by such fellow country music stars as Eddy Raven and Richie McDonald (Lonestar). He also sings a couple of hallmark spiritual songs including his version of "Resting Place," a song that topped the Gospel music charts in the late 1990s. Those familiar with Pride's amazing repertoire of #1 hits will find this release essential listening while others are sure to discover the reasons why this living legend has sold tens of millions of records worldwide.